I've seen lots of off-the-shoulder tops and dresses trending lately and I'm loving it. 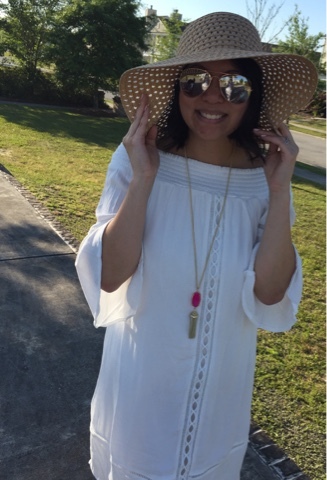 I found this dress during a recent Target trip and love the boho feel to it. 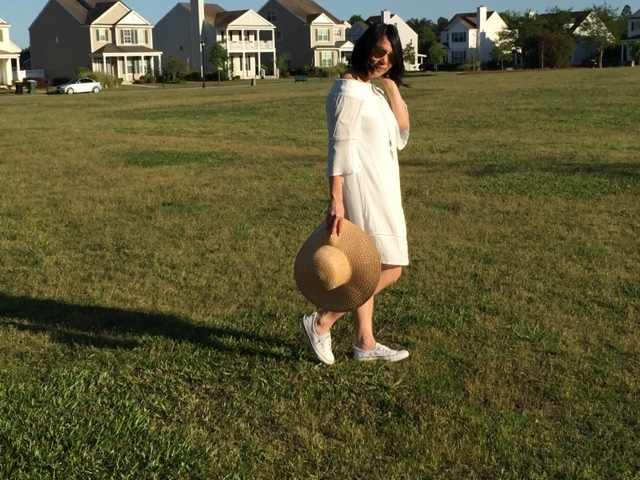 I don't have any white dresses and this one is comfortable and fun for the summer. 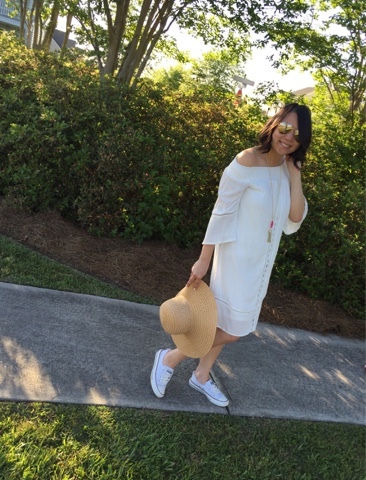 I paired it with white converse sneakers, a floppy straw hat and a pop of pink for a casual look.